A Michigan gem has turned twenty years old. It is Christopher Trainor & Associates. This small law firm has quietly developed a reputation for being one the leading forces in Michigan. Unlike his boastful counterparts, Trainor lets his reputation and a scowling picture of himself, on the yellow pages, do most of his advertising. Trainor started this firm in downtown Detroit after practicing law at Neighborhood Family Legal Services, while attending The Detroit College of Law, and then a brief stint in another small law office. He decided he could do a better job for the people he was representing if he had total control over his cases. Trainor felt that his supervisors had lost touch and that he understood his clients better than they did. This was the beginning of Christopher Trainor & Associates. “It wasn’t pretty at all,” said Trainor. “My office was the size of a walk-in closet, it was a desk and two chairs, and when you opened the door it smacked into the chair the clients sat in,” he said. “It was so small I had to go out in the hall to change my mind,” joked Trainor. From these meager beginnings, Christopher Trainor & Associates has evolved into one of the most influential legal practices in the State of Michigan, specializing in personal injury law. 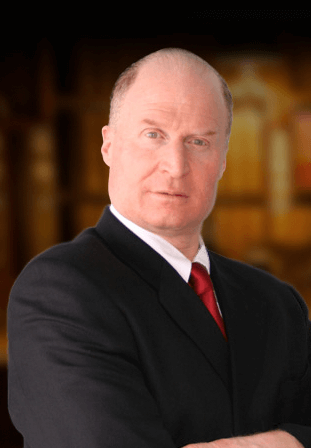 Trainor, primarily a personal injury lawyer, has fought insurance companies, police departments, hospitals, and major corporations, to protect the rights of his clients that needed him most and winning against these giant machines that too often trample on the rights of the people. Christopher Trainor & Associates has become so influential within Michigan, that people from other states have sought out their expertise. It has allowed this small Michigan business to expand their services into other states to assist other people that have been wronged. Trainor is excited about expanding his legal services to other states but will not allow the quality of his firm’s legal representation to waver at all. Trainor’s philosophy is no one person is more important than the next. “From the bottom to the top of this firm everyone is an intricate part of this organization,” he said. Whatever the secret of this Michigan gem is, we wish Christopher Trainor & Associates continued success in the years to come. It is nice to write about a Michigan company that is doing well during these tough economic times. To visit our locations page, click here. Copyright® 2018 Michigan Legal Center. All rights reserved. Attorney Advertising Legal Disclaimer–The legal information on this site should not be construed as formal legal advice nor the formation of an attorney-client relationship. Can I Sue for Workplace Harassment? "Chris Trainor is the best attorney I have ever seen. Prior to him, I worked with many different attorneys in various aspects of my business and would recommend him highly." "Chris Trainor took my case after two other attorneys turned me down. Trust me, I will never hire another attorney for any legal matter. Chris has my legal business for life. Without his expertise and knowledge, along with his dedication to his client, I was able to win $5.5 million on my injury accident. Thanks Chris!" "Chris Trainor is not only a personal friend, but a great attorney. He truly cares about his clients and shows it by putting his clients and his client’s needs first." "Chris Trainor did what three other previous attorneys said couldn’t be done… He won me $500,000 on my case… Thanks Chris." "Chris Trainor took over my case from another attorney who wanted us to settle on a much lesser amount of money than we thought we deserved. Chris Trainor has a new friends in us. We highly recommend them for any legal need. We will never use anyone else for any matter in the courts." Important information regarding the Toyota and Lexus Vehicle Recall . Click here to learn more. Chris Trainor recently obtained a jury verdict of $5.8 Million involving police brutality resulting in traumatic brain injury.